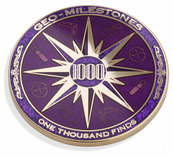 The Geo-Milestones range is a fantastic way to reward significant numbers of geocache finds. All the products in the series share a common design theme and each milestone has its own colour scheme. 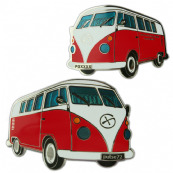 As you reach each milestone, you will build an impressive and coordinated collection of coins and pins that will look great when displayed together. The coins and pins all feature a striking design formed by polished raised metal, rich enamels and sparkling glitter enamels. 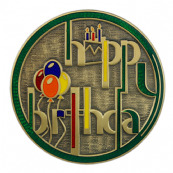 Geo-Milestone coins and pins that certify less than 1000 finds are finished in polished nickel. 1000 finds and greater are finished in polished gold. 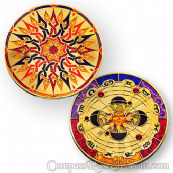 The coins are 4.5 cm in diameter and 3 mm thick. Each comes in a protective pouch. Want to send the coin on an adventure? 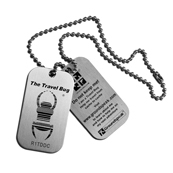 The trackable version is fully trackable on Geocaching.com so you can send your coin on its travels and show everyone how many caches you have found! Each coin has a unique tracking code etched on the reverse. Each coin also has a unique icon. 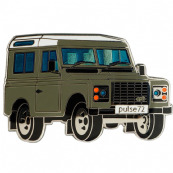 This icon appears in your Geocaching profile under trackables you own. It also appears in the trackable history of those who find your coin, allowing people to “collect” a trackable without physically keeping the coin. Want to keep your coin as a trophy? The non-trackable version is perfect. There are no tracking codes on this version. Simply display it with pride. In place of the tracking code, there is a shiny metal area. If desired, you can take it to an engraver and have a personal message added. 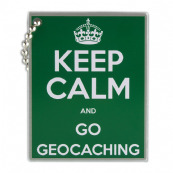 Wear with pride on your Geocaching adventures. Held in place with a really secure butterfly clutch attachment.